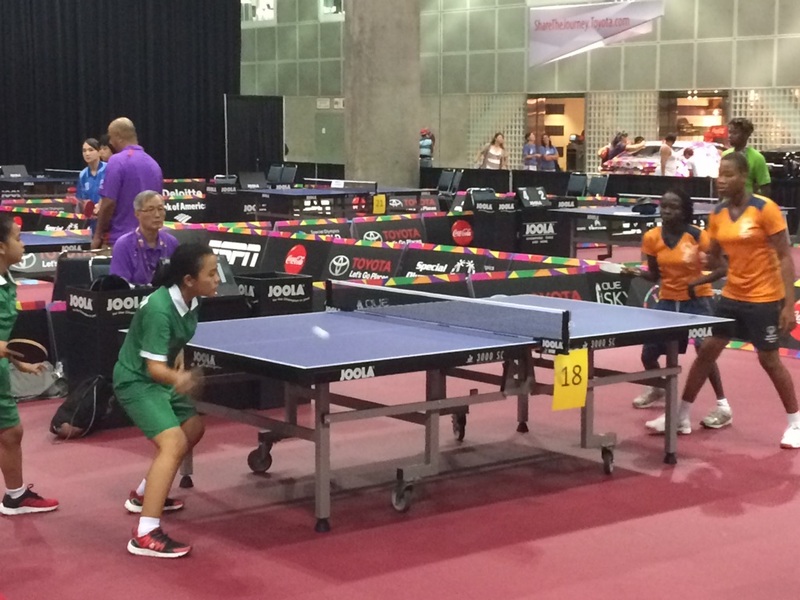 2015 World Games: Day 7 — Revenge is Ours! This is the sixth blog post (find others on our blog homepage!) 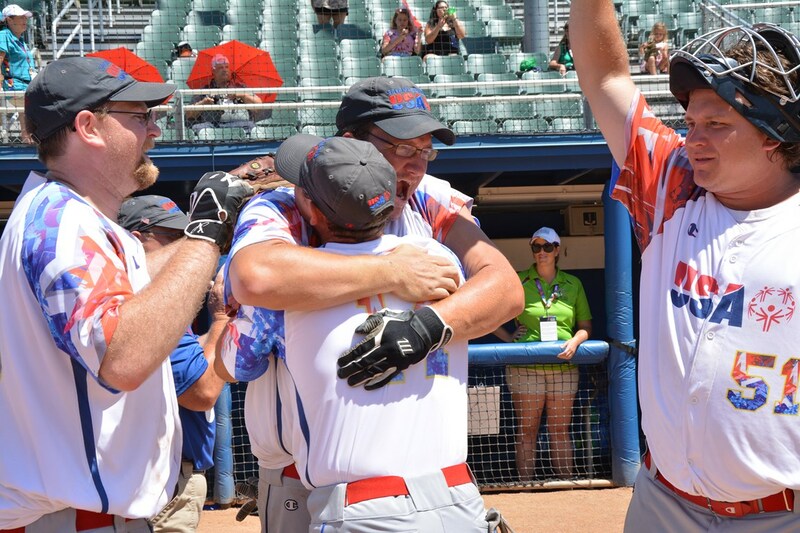 in a series from Special Olympics Missouri Public Relations Manager Brandon Schatsiek who is in Los Angeles covering the 13 Missouri athletes competing for Special Olympics USA at the 2015 World Games. 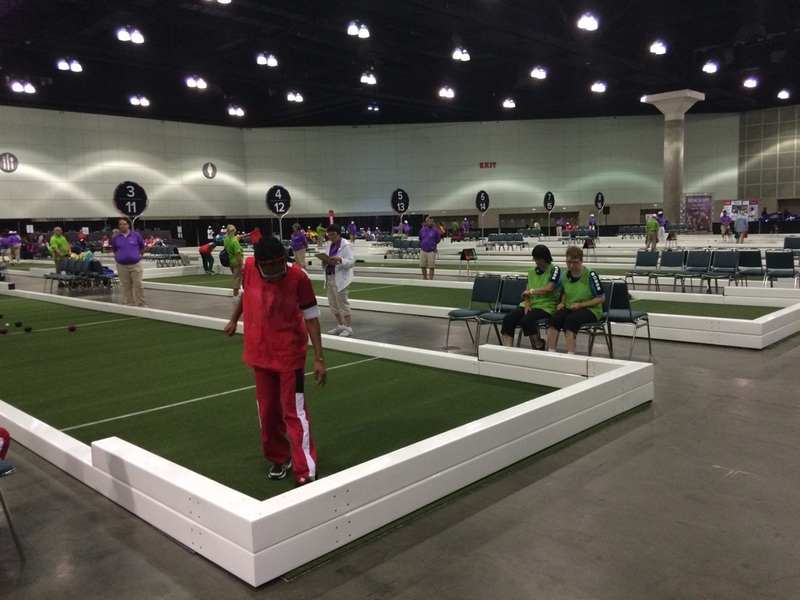 Sarah and I had some downtime Friday morning, so we wanted to check out other sports and headed to the LA Convention Center where we watched powerlifting, table tennis, bocce, handball and badminton. I will probably always think that powerlifitng is the absolute best Special Olympics sport to watch just because it’s probably the only sport where the crowd actually plays a role in getting the athlete to accomplish their goal. Because it’s so loud with everyone cheering them on from beginning to end, I think that little extra push to complete the lift can come from the athlete feeding off of the crowd. 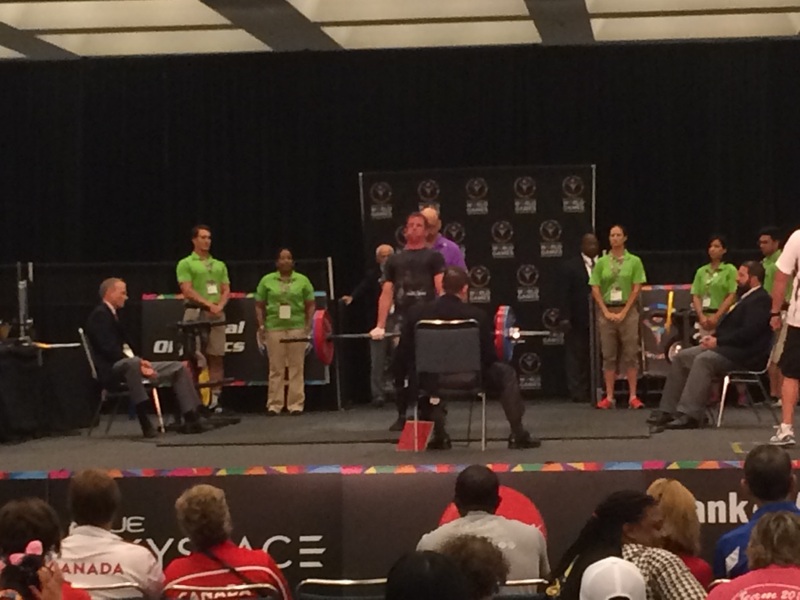 We saw a ton of great powerlifters, but I still say that Brianne Chavez could wipe the floor with all of them — female OR male. 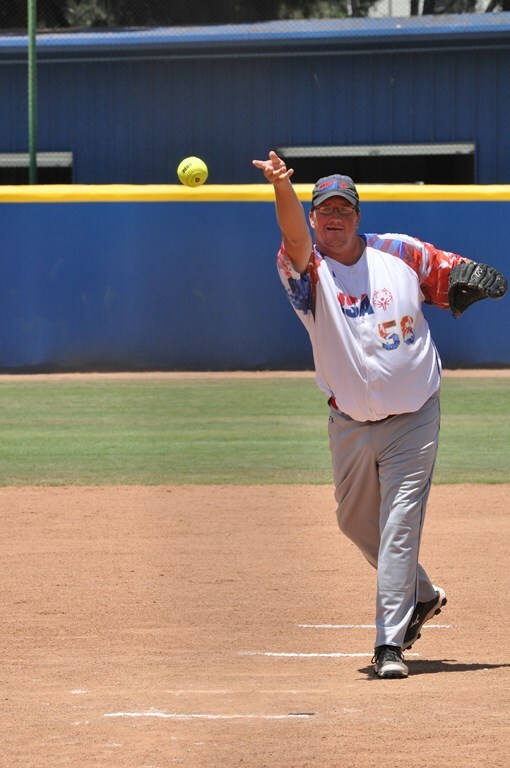 Following a quick visit at the Convention Center we headed to Easton Stadium to watch the softball team try and beat Canada for the first time in three games with a berth in the gold medal match on the line. Because they were the No. 3 seed and Canada was the No. 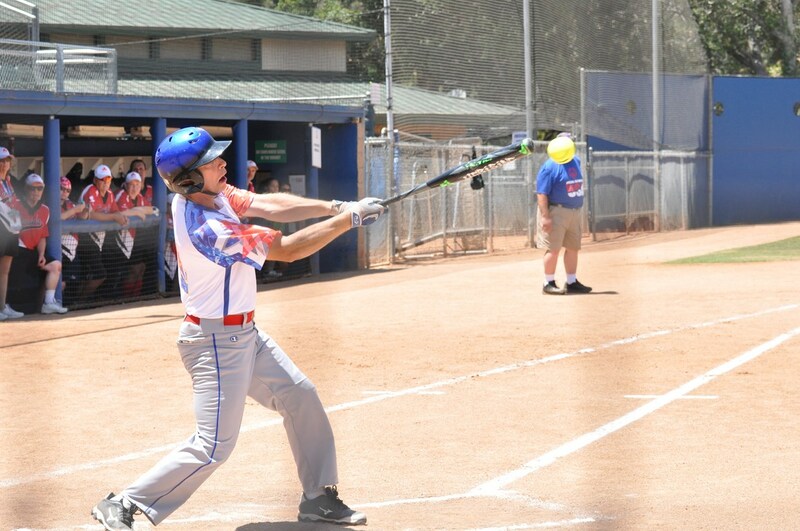 2 seed, the US team was the away team and got to bat first. So what was it going to be for our guys? Was the narrative of slow starts and struggles against our friends from the north going to continue or could our guys turn it around now that the games actually mattered? They ended up crushing one of the narratives and plated five runs in the inning before Canada even recorded an out. Again, they were incredibly patient at the plate and putting the Canadian pitcher into counts where he had to throw meatballs over the heart of the plate. A couple of smart lineup switches moving guys up and down the lineup paid off in the first inning where SO USA-Missouri led 5-0 after their top of the inning. That’s all fine and well, but another story of the week had been that while our guys could score runs with the best of them, they had trouble limiting damage when they were in the field, whether it was due to throwing or fielding errors or pitching being slightly off. Luckilly for them today, another narrative was disregarded as the guys gave up a couple of base-runners, but ultimately allowed 0 runs. A day after really struggling with the strikezone, Jeremy Tucker pitched a beautiful game consistently getting ahead of the batters with called strikes when Canada went to the plate looking at most first pitches to wait until Jeremy pitched a strike. He was one of my MVPs for the game, that’s for sure. The second inning was more of the same for the US and Canada as our guys added six runs (all batters 1-6 in the order scored) in the top and held Canada to only one in the bottom and led 11-1 after two innings. The defense was superb throughout with great plays by Nick Short and Tim Kunz that come to mind immediately. The guys scored six more runs in the top of the 3rd, thanks to the top six batters scoring yet again) and pushed their lead to 17-1 before Canada added four in the bottom of the 3rd, mostly helped by a mammoth homerun over the centerfield wall, but that was as close as they’d get as each team was held scoreless in the 4th. Jeremy made a great stabbing play on a comebacker up the middle to end the game and kick off the celebration on the field. Chants of U-S-A rang from the other Missourians in the crowd and quite a few fans and volunteers in the stadium that have been privileged to watch the team play over the last few days. The guys were so elated they were just screaming with smiles from ear to ear. I know that I’m not technically part of the team, but I’ve been lucky enough to attend most of their practices over the last year and really gotten to know them when I didn’t know very many beforehand. I’ve seen them really grow in the past 12-plus months and regardless of how they do against USA-Arizona tomorrow in the gold medal match, I’m so proud of them. They faced a lot of adversity in the games leading up to this against some great competition and figured out how to beat the team that gave them fits when it mattered most. Bobby plays for his gold medal in singles vs. Russia on Saturday morning at 10.